Get Fit Studios by Sarah is reimagining the idea of fitness classes. Get Fit Studios understands that getting back into exercises and staying active can be difficult which is why the studio offers fitness classes for everyone’s activity levels and interests. Get Fit Studio courses include fun and engaging activities such as yoga, pilates, cardio, water aerobics, strength training and much more. Get Fit Studios has created a welcoming atmosphere where everyone at any stage of their fitness goals are met with support and enthusiasm. Get Fit Studios has been using their Facebook page as their main source for online marketing. While effective, our team was happy to create a new website for the studio to better increase the online traffic. The new website includes information for each class, new member registration forms, pricing information, and class schedules. The navigation is very easy to use and strong calls to action are placed throughout the website to encourage more visitors to sign up for the Get Fit classes. 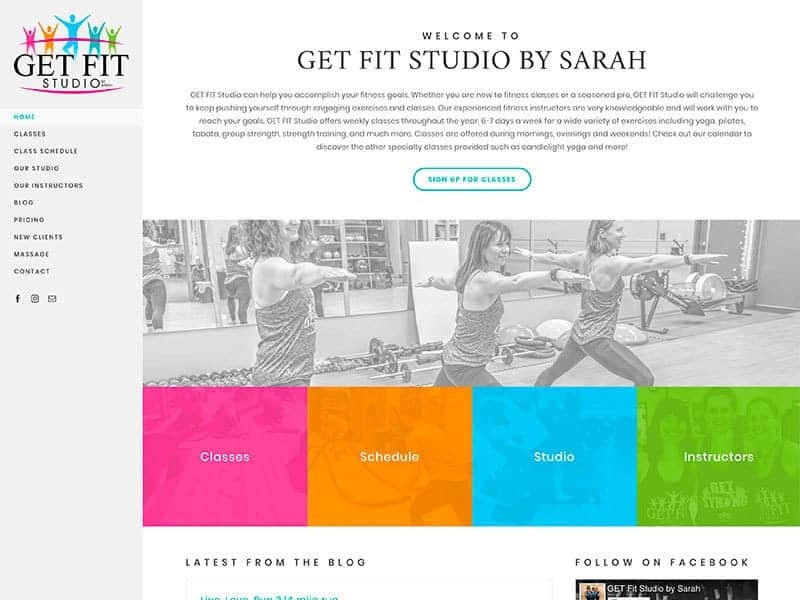 Because Get Fit Studios by Sarah offers many specialty classes such as candlelight yoga, holiday specials, jazzercise, self defense, and more, a blog post and links to the Facebook page have been added to keep everyone up to date. To stand out from other fitness websites and make a great first impression, our team incorporated a 360º virtual tour of the studio. Clients have the opportunity to view the welcoming studio area and massage therapy room from anywhere on their phone or desktop. 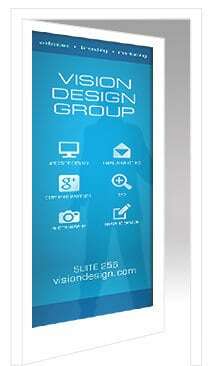 Vision Design Group is a certified Google view photographer! Check out the brand new website here. You never know; you may end up signing up for a couple classes. Make your website stand out from the rest! Learn how a 360º virtual tour can benefit your company!